Michael (Tony) Karman is an attorney at Pentiuk, Couvreur & Kobiljak, and has been with our firm since 2006. 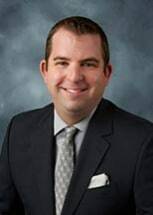 Mr. Karman earned his Juris Doctorate degree upon graduating from the University of Detroit Mercy School Of Law in 2008. He also earned Bachelors of Arts degrees in both Sports Management & Communication, and Art History with distinction from the University of Michigan Ann Arbor in 2005. Mr. Karman is involved in a wide range of legal general practice with an emphasis on representing financial institutions, government entities, municipalities, businesses, housing agencies, and families and individuals. His main focus includes civil litigation, collection and creditors’ rights, bankruptcies (on behalf of both debtors and creditors), contracts and commercial transactions, municipal, criminal prosecutions and defense, traffic law, real estate, landlord-tenant, and employment law. He is admitted to practice in all courts in the State of Michigan, including federal and bankruptcy court. In law school, Mr. Karman participated in UDM Law’s groundbreaking Veteran’s Legal Clinic where he had the opportunity to personally meet and work directly on the cases of hundreds of veterans throughout the country as a part of the clinic’s well-publicized Project SALUTE. While studying at UDM Law, he also served as the co-president and co-founder of the school’s Sport and Entertainment Law Society, as well as an active member of the American Bar Association, Federal Bar Association, and G. Mennen Williams Moot Court Competition.